For the purpose of those who are new to this so called online buying or shopping, here is a simple and quick guide for you. Here are the steps you need to follow to place an order. If you have any problems when following these steps, please contact us. First you will need to browse or search for the items you would like to order. When you find an item that interests you, click the title or name of the item to see its product detail page. Here you will find more information about the item. To order an item click the "Add to Shopping Cart" button on the item's product detail page. Once you've added an item to your Shopping Cart, keep searching or browsing until your cart contains all of the items you want to order. You can access the contents of your Shopping Cart at any time by clicking the at the top of every page of our website. Take a moment to review all of the items you've placed in your Shopping Cart. If you decide that you don't want to purchase a particular item right away, just leave the items on the Shopping Cart and the items will still be there for later. Even if you logout of your account or close your browser. When you're ready to place an order for everything in the Shopping Cart, click the "Proceed to checkout" button. You will be taken to the first page of the order form. Note: The instructions below outline each step of our online order form. If at any point you encounter difficulty or receive an error message, please contact us. Indicate that you are a new customer. Enter your e-mail address. (Keep in mind that the e-mail address you provide here will be the only e-mail address to which we can send information about subsequent orders.) Enter a Username and password here to create an account. If you are a returning customer fill in the user name and password from the first order. Click the "Sign in" button. Tell us where you would like to ship your order. Please note that we do not ship to Post Office Boxes. 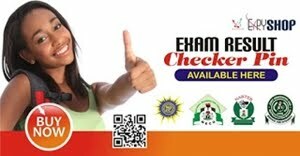 You can send the item to most cities within Nigeria. Regular shipping: We deliver using TRANEX Courier. We will estimate shipment rates for you on the order form, just before you submit your order. You will see estimated shipment and delivery dates in the e-mail we send you to confirm your order. Pickup Stores: This is usually adviceable for those of you living within areas where ExpyShop has a pickup store, its also fast and reliable. Next, let us know how you would like to pay for your order. 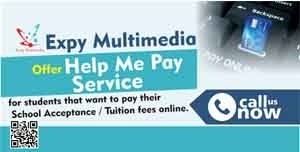 You can do instant payment and can also pay by making direct deposits to any of our Bank account (GTB, Stanbic IBTC, UBA). 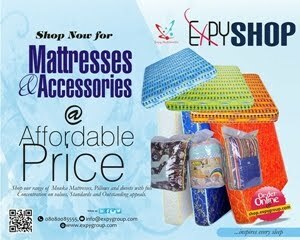 Where available, use the ExpyShop customized deposit slips. Check the accuracy all of the information you provided and make any necessary adjustments. When you are ready, click the "Place Your Order" button to submit your order. Once you place your order you will see the following message "Thank you--we have received your order". Later you'll receive an order confirmation e-mail. We will send you another e-mail message at the time of shipment. If you would like to review or change something about the order you placed before it enters the shipping process i.e. as long as it isn't listed as "dispatching soon" or "recently dispatched" you can change or cancel the order. Click the SHOP link in the top right corner of most pages on our site and then click "Account", "View Orders and you will be able to change the particulars of your order without having to contact us.